Owning a swimming pool in Houston should be for your enjoyment, not a part-time job. Properly caring for a swimming pool requires a high degree of discipline and knowledge. 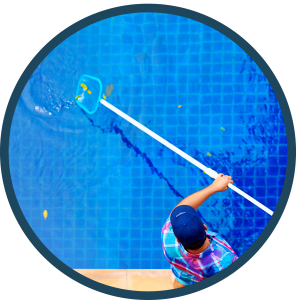 Your greatest enjoyment will occur when you choose a company that cleans and maintains, prevents plaster damage, and ensures the reliability of the pool equipment. Our technicians are properly trained in water chemistry and equipment operations, as a way to offer our customers a better quality of service. Each of our employees are fully insured for your protection, as well as use marked vehicles, and wear official uniforms. We carry our name with pride, and meet every job with professionalism. 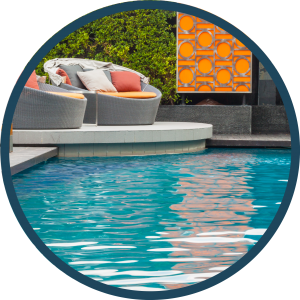 AmeriTex Pool Services understands that pool owners in Houston have different needs and budgets, which is why we offer custom plans to meet your specific needs. If you have any special requests or you are curious on our pricing policy, the best way to find answers is to contact us. With one phone call you can have your questions met with definite answers. Part of our training program is devoted to teaching our technicians about chemicals and water quality. In our program we also teach our technicians how to check the water by analyzing its chemical balance. Technicians must not only be able to check the water but find out which chemicals are needed to restore the perfect pH balance to each pool. Once the pH balance is restored, our technicians must also check and adjust the water to make sure the pool is completely sanitized. It is important to note, our chemicals we use are both eco-friendly and extremely safe. AmeriTex only uses products that do not irritate skin and are proven to be environmentally safe. We offer a large range of cleaning plans, however, our premium plan is by far our most popular. The plane includes balancing chemicals, brushing of walls and floors, removing surface debris, vacuuming the floor, emptying all debris baskets, maintaining recommended filter pressures, replacing parts that are on our free replacement program, and lubricating all O-rings. Do you desire the best? Our Elite Service option includes all the premium features and includes a 24/7 online monitoring service. 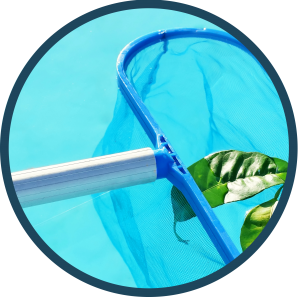 In the plan, we are able to balance your pool chemicals, maintain pH balance and other balancing treatments, as well as perform phosphate removal treatments. In this plan, you also have the option of metal sequestering additives. A positive feature of this plan is that customers who upgrade to this style of cleaning will receive a 10 percent discount on all equipment repairs.